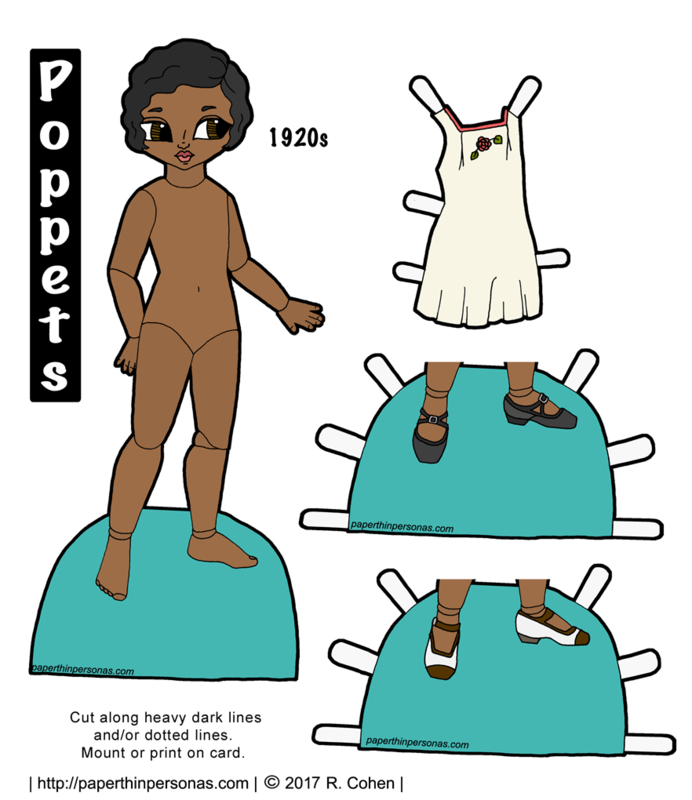 Printable Black & White PDF Printable Color PDF More Paper Dolls & ClothesI love costume history and the 18th century is a favorite era of mine. 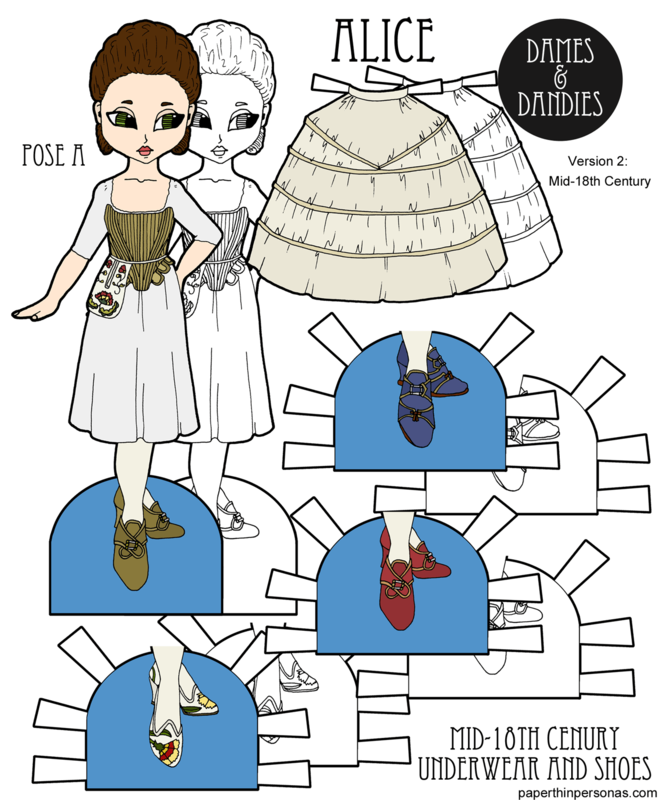 I wanted to design an 18th century paper doll and I chose Alice as the model. Because of the paper doll’s historic underwear, she won’t be able to wear all the A Pose clothing. I made the decision that I was more concerned with having period underwear than with having versatility. So, what underwear is she wearing? Well, Alice is wearing a shift, a strapless set of stays (like these or these) and has a pocket tied around her waist (like this or this). She also has a separate set of hoops. I based them on this set of hoops from LACMA. Hoops were only worn with the most formal of gowns in the 18th century, so they won’t fit under all the 18th century paper doll gowns I ever draw. If you look at enough pairs of mid-18th century shoes, they do start to flow together at after a while. I could literally link to dozens that are in the same basic style as Alice’s brown shoes, her red shoes and blue shoes with pattens. Here is one example, here is another and here is another. The differences come from the shape of the toe and the heel. By the 1780s, other styles were coming into fashion. So, her brocade shoes are based on this pair from 1785 from Historic New England. By the 1790s, shoes that look more like modern kitten heels had taken over like this pair. Her blue shoes have attached pattens, which were leather and wood oversoles meant to protect the shoes from the muck and mud. This set was my main inspiration, but here is another example of the same idea. Historic hairstyles are a challenge for me every time. I’m still learning enough to illustrate them properly, but for today’s 18th century paper doll I really wanted to draw something that was as not too over the top. I used my historic hair style books and portraits, including this one, this one and this one. I could have gone gray with her hair, but I just didn’t really like how it looked. 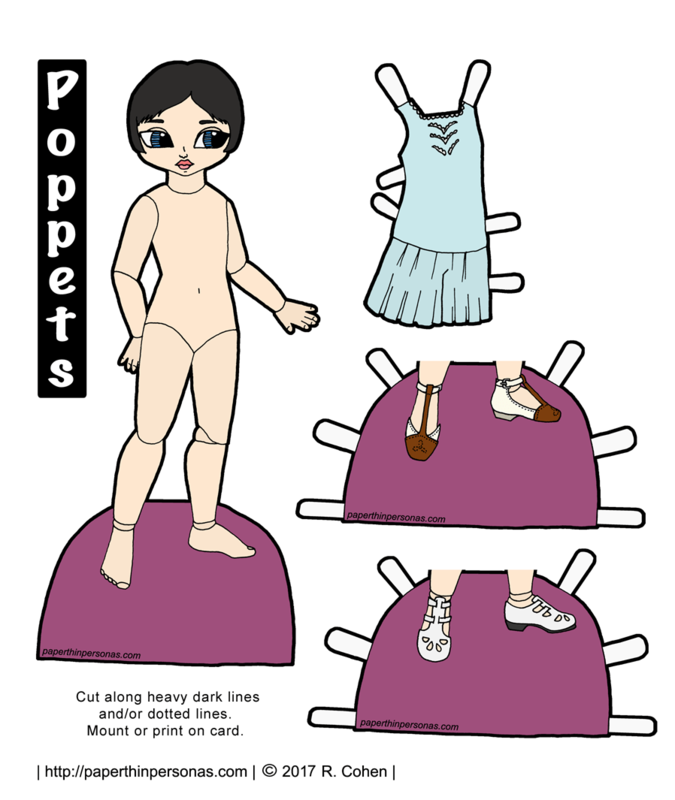 Wednesday, there will be a gown for today’s 18th century paper doll version of Alice.